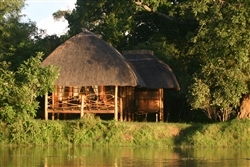 Accommodating only 20 guests, Kafunta River Lodge ensures comfort and personalised attention at all times. 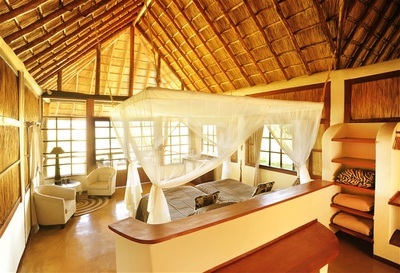 There are 8 thatched roof en suite chalets, all built on raised wooden platforms, and all boast well-appointed interiors. The 2 luxury suites each feature an upstairs viewing veranda, a downstairs balcony and a luxurious bathroom with double sinks, two showers and a free-standing bath. 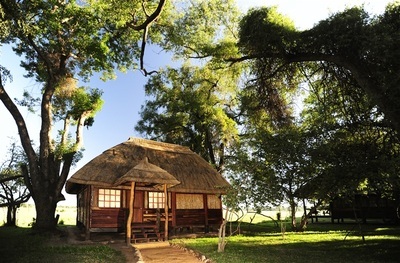 All accommodation is equipped with fans, mosquito nets, a mini-bar, and tea/ coffee making facilities. The main lodge area is home to the spacious bar and dining space. Built around a semi-evergreen wild mango tree and thatched in the traditional style, this offers excellent panoramic views over the Luangwa River and across to the South Luangwa National Park. 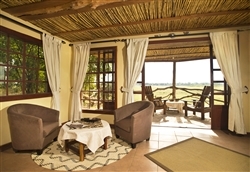 Excellent game viewing and bird watching from the lodge is a given. 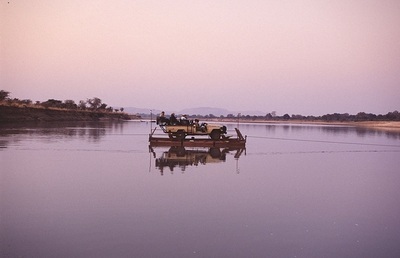 For relaxation, there is a swimming pool and, uniquely, a natural hot spring tub… which is fed from a source on the Lodge’s grounds, and keeps a constant temperature of 38 degrees (Celsius). Here you can relax, whilst enjoying magnificent views over the flood plains and the Luangwa River. 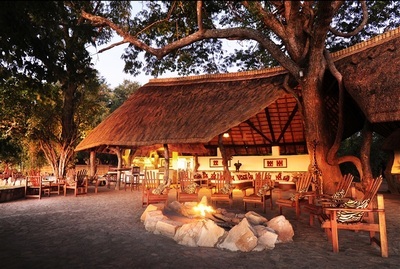 the South Luangwa’s main gate. 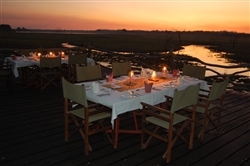 This Zambia Lodge Lodge specializes in game drives – there are two conducted daily, in the early morning, and again in the afternoon, which continues after sun-set, allowing you the opportunity of seeing some of the nocturnally active animals. 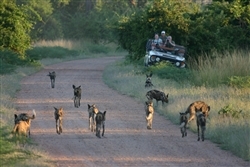 In addition, there are guided walking safaris, which allow one to get closer to nature. During the walking safaris your guide will provide you with detailed explanations of spoor, vegetation and the ecology in general. visitors and are happy to share their culture and traditions. On your 3 hour visit to the village you will learn about the daily life of the people as well as their traditions.